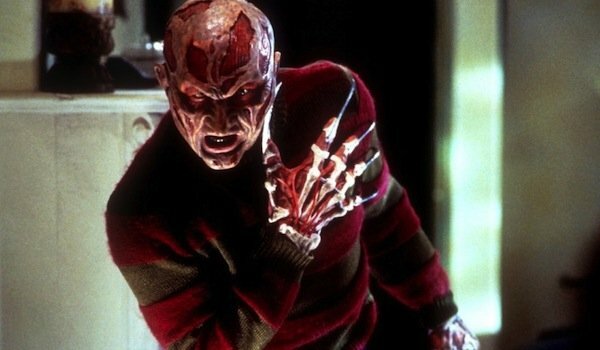 Freddy Krueger from the Nightmare on Elm Street movies is one of the iconic horror movie villains of the 1980s, and while he was always recognizable, he went through a few aesthetic changes over time. There is, however, one that franchise mastermind Wes Craven wishes he hadn’t signed off on. With Freddy [Krueger] and the New Nightmare, I felt that I probably should have stuck with the original face. [With Scream,] we just let Ghostface be Ghostface. It would have been safer [not to change Freddy]. I'm not going to speculate in public, probably shouldn't have even mentioned it, but you know, sometimes you realize that something's not broken, so don't fix it. And that was the course we took on all the Scream films: Don't mess with that, it's just perfect. For the sake of comparison, here’s a look at the traditional Freddy at the top of the page and compare it to the New Nightmare Freddy below. They’re still obviously the same character, both played by Robert Englund, but you can see significant changes from one to the other. It’s something that never sat particularly well with many fans, either, and if he had a say, Craven would have tried to get MTV’s Scream to do what he did with the movies, keep it the same throughout. But he doesn’t have any real input into the show as it turns out. He may have an executive producer credit, but as he says, that’s in name only, and he’s too busy to participate anyway. In his opinion, the mask—which was originally sold as part of a generic Halloween costume—is a huge part of the success of the Scream movies. Those creepy droopy-eyes and soulless screaming mouth came to symbolize the movies in a way similar to Jason’s hockey mast from the Friday the 13th, or Michael Myer’s from Halloween. It’ll be interesting to see if the new series is able to get the same millage out of the remodeled mask. Many have speculated that MTV went with a new design to avoid having to pay a substantial sum of money to the company that first designed the mask and still owns the patent, but they claim that is not the case. Instead, they reportedly wanted to go a different, "darker" direction with it, and instead of just being a prop, this new version apparently figures prominently in the story somehow.